Strictly speaking, Motherwell is perhaps less a ‘ Famous Scot ‘ than an interesting phenomenon in Scottish letters. A born literary man, an untiring experimenter in literary forms, a figure of real significance, if of minor importance, in the Romantic Movement which, inaugurated by Percy, Chatterton, and Walpole, reached its full height in Scott and Coleridge, his contribution to Scottish literature is in the general estimation probably limited to a single song; though we must hasten to add that, for the literary student, his work has an altogether different interest. Yet, after all, and taking the lower estimate, how many are the names of whom even this can be said? And let us not forget, either, that his talent was of a kind which by length of days might have been brought to a riper bearing. As it is, we may dismiss him quickly, for he had not, like William Thorn, the advantage of a romantic personal story to compensate for the tenuity of his literary performance. His true history, like that of so many of his brother poets, would be one, not of deeds or of circumstances, but of thoughts, feelings, and studies. 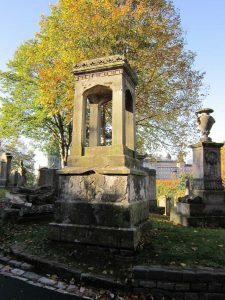 Born in a house in the College Street of Glasgow, October 13th, 1797, William Motherwell was the third son of a father bearing the same names, who carried on business as an ironmonger. The family of the Motherwells was, however, an ancient one, and there is the evidence of charters, as well as of tradition, to show that its members both held land and filled the post of hereditary millers at Dundaff, on the banks of the Carron in Stirlingshire, for, probably, not less than four hundred years. The name Motherwell, also spelled Moderville and Moderell, appears in the Ragman Rolls. possession of his fancy. Jane Morrison is described as a gentle and pretty child of about his own age. Her hair was of a lightish brown, and her eyes dark, with a sweet expression. In winter (for it is well to be particular where one has the means) she wore a pelisse of pale blue, and a light-coloured beaver with a feather. 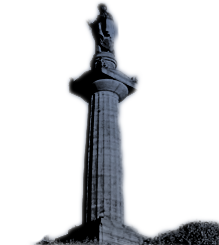 She was the daughter of a respectable brewer and corn-factor of Alloa, and was come to Edinburgh to ‘ finish her education.’ When Motherwell in his pathetic poem of Jeanie Morrison speaks of their being ‘sindered young/ not to meet again, he merely states what was the fact. Jane, who in due course became the wife of a respectable merchant named Murdoch, is said to have retained her early attractiveness in maturity. Motherwell during his school-days is described as an apt scholar and an amiable and lively boy. It seems quite probable that Jeanie may have been his first and only love. After a brief stay at the High School, the boy – whose father had not prospered in business – was handed over to the care of an uncle at Paisley, where, after attending the Grammar School until he was fifteen, he was placed in the office of the Sheriff-Clerk. Already he gave tokens of the romantic and mediaeval bent which was to characterize him in later life, having as a schoolboy earned a reputation for his gift of spinning yarns about ‘castles, robbers, and strange out-of-the-way adventures,’ whilst he now exhibited great skill in deciphering and making facsimiles of ancient legal documents, and would wile away the intervals of business by exercising his decided artistic ability in making sketches of knights in armour, on horseback or a-foot. His accomplishments, united with smartness and intelligence, attracted the notice of the Sheriff, and, in May 1819, when in the twenty-second year of his age, he was appointed Sheriff-Clerk Depute of Renfrewshire, a post which he held with credit for the next ten years. During this period he is described as of a kindly, enthusiastic, and somewhat convivial temperament, and, poet though he was, there is no sign that in his official life he occupied the position of the proverbial square peg in the round hole. His official career had not, however, been one of unbroken smoothness, for there is record of his being seized by an angry mob, whilst in the performance of duties which rendered him unpopular, and actually raised to the level of the parapet of a bridge over which it was intended to throw him. This was in 1818, during what was known in the West Country as the Radical War. Later on, the liberal emoluments of his office enabled him to indulge his tastes by forming a library. In 1828 Motherwell took a principal share in starting the Paisley Magazine, to which several of his poems were contributed. He was now manifestly gravitating towards his true vocation of literature, and, having become a contributor to the recently started Paisley Advertiser, on the retirement of its editor, who was his intimate friend, in the same year, he was appointed to succeed him. This editorship he held – for a time, as would appear, conjointly with his legal office – until he was invited to Glasgow to undertake that of the Glasgow Courier – a position on which he entered February 2nd, 1830. His connection with this journal was maintained until his premature death in November 1835. At first sight the change in his circumstances appears beneficial, but it remains very questionable whether for his best literary interests it really was so. A literary career was, indeed, that for which his temperament had marked him out; but the class of literature required by a newspaper demanding to be fed with the product of his brain three times a-week was not that for which he was best fitted. On the contrary: his mind worked slowly, his preference was for careful elaboration – in proof of which we may cite the statement that he worked upon the draft of Jeanie Morrison over a period of twenty years. Then, the times were against him. Political party-feeling waxed to an unprecedented height over the Reform Bill, and Motherwell – a Tory by conviction as well as by constitution – entered keenly into the war of opinions. We cannot wonder that his muse fell silent. In an account of a visit paid by him to Hogg’s farm at this date, it is said that he ‘affected to care for neither literature, nor sentimentalism, nor song,’ his ambition being to shine as a wit and to talk politics. 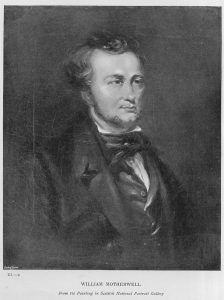 (2) Nevertheless it was during this period, in 1832, that his Poems, Narrative and Lyrical, were collected and published. Considering the perturbation of the time, and the merit of most of the poems was largely esoteric, their reception is said to have been on the whole favourable. A preface to Henderson’s Scottish Proverbs, the humorous Memoirs of a Paisley Bailie, contributed to The Day, and a share with the Ettrick Shepherd in an edition of Burns, which Motherwell did not live to complete, make up the tale of his literary works. Amid the bewilderment of the time, the poet had somehow been misled into joining the Orange Society, whose principles he embraced with warmth. In 1835, when Government contemplated to suppress that organisation, he was summoned to London to give evidence, touching its constitution and practices, before a Committee of the House of Commons. He was not by temperament fitted to acquit himself well on such an occasion, and it has been suggested that he was already the victim of premonitory symptoms of the disease known as ‘softening of the brain.’ At any rate he ‘broke down’ in his evidence. He was able, however, to return to Glasgow and resume the train of his everyday life. On the evening of the 31st October, whilst attending a party at the house of a friend, he was attacked by bleeding from the nose, which was followed, in the small hours of the next morning, by a shock of apoplexy, so violent as in a few hours to prove fatal. 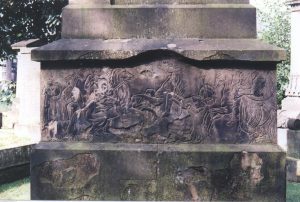 He was buried in the Necropolis [Gamma 37], his death at the early age of thirty-eight being deplored by a large circle of friends and by the inhabitants of Glasgow generally. and, save in rare moments of enthusiasm, did not shine in conversation. But that he was no recluse or mere bookworm is shown by the fact of his having served at different times both in the Paisley Rifle Corps and the Renfrewshire Yeomanry, as well as by his possession of a taste for boxing and fencing, and even, in early days, for practical joking. In private life, he harboured one or two inoffensive eccentricities: for instance we are told that he believed firmly in ghosts, though not that he had ever seen one. In his reading he wisely preferred to follow up particular lines of his own, rather than to aim at the banale universality of the ordinary well-read man. Thus he deliberately neglected physical science, philosophy, and modern history. In a word, his culture was that of the artist rather than the savant: he studied that for which he had affinity, to which he was capable of imparting life. But, of course, it is possible to carry this principle of study to the point where it begets prejudice, and it is possible that at some points he did not steer quite clear of this fault. His love of Scotland and of Scottish literature was ardent and enthusiastic. We have said that Motherwell is a poet for literary men, and what need have these with ready-made criticism? For them, if not an impertinence, it is at least generally an encumbrance; so the briefer our observations on his poetry the better. In the first place, then, Motherwell is remarkable, almost unique it might be said, among modern Scottish minor poets, for this very characteristic – that he was a ‘literary’ poet, or one whose inspiration, if not drawn mainly from books, was at least much modified by study. So, in place of giving us the spontaneous carol of a Hogg or a Tannahill, he adapts his song to a carefully thought-out melodic scheme. And one point at which he gains over his compeers is that his work is of much more even quality than theirs: he wrote little or nothing that was worthless. Righteous Hearte of Raleigh perhaps, or of the mournful lines written on the eve of execution by the young and misguided Chidiock Tichborne. (3) From all these things of course it follows, as the night the day, that the poet has no very distinctive style of his own. And hence perhaps arises the fact that, fine man-of-letters as he was, Motherwell has never yet been generally awarded his full dues of appreciation and applause. were obviously children of very exceptional sensibility of temperament – exceptional, but not necessarily unnatural; and it is with the exceptional that the romantic poet delights to deal. Another way of looking at the poem is to view the poet’s love for the little girl as the form into which the natural yearning backward toward a happy childhood has been crystallized by time. 2 Memorials of the Ettrick Shepherd, p. 302. 3 ‘My prime of youth is but a frost of cares,’ etc. From James Hogg, by Sir George Douglas (Famous Scots Series), Oliphant, Anderson & Ferrier 1899, pp 129-136. 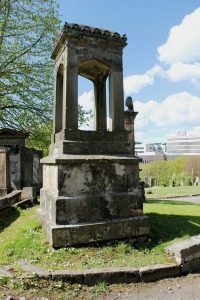 In 1849 fundraising started to erect a monument over Motherwell’s grave. This was finally accomplished in 1851. INAUGURATION OF THE MONUMENT TO THE MEMORY OF THE LATE WM. MOTHERWELL, ESQ. Who died 1st November, 1835, aged 38 years. “Not as a record he lacketh a stone! Will there for me be any bright eye weeping . Glasgow Herald (Glasgow, Scotland), Friday, June 27, 1851; Issue 5051. The biography found at www.poemhunter.com/william-motherwell/biography/ supplies the text for the article on Wikipedia.